If you have a good 18 months before you think you’re ready to buy a house, now is the perfect time to pay off as many debts as possible. Start paying off your car, student loans, and of course as many credit cards as you can. The more credit cards you can pay off, the better it will improve your credit score and not canceling those credit cards once they are paid off will actually help you more. The reason is this: let’s say you have three credit cards and they are all maxed out at $5000. If you pay off one of those credit cards and then cancel it you now have two credit cards that are totally maxed out. If you pay off another and then cancel it you now just have one credit card that is fully maxed out. Your credit history and snapshot has not really changed; you still have a maxed out credit card. Now let’s say you have those three credit cards and you pay off one or two but didn’t cancel them. You now have only one or maybe two credit cards that are maxed out and one or two credit cards that are completely free and clear. This improves your credit history because it shows that you can have credit without maxing it out. Read more: Are you giving money away when you buy a house? 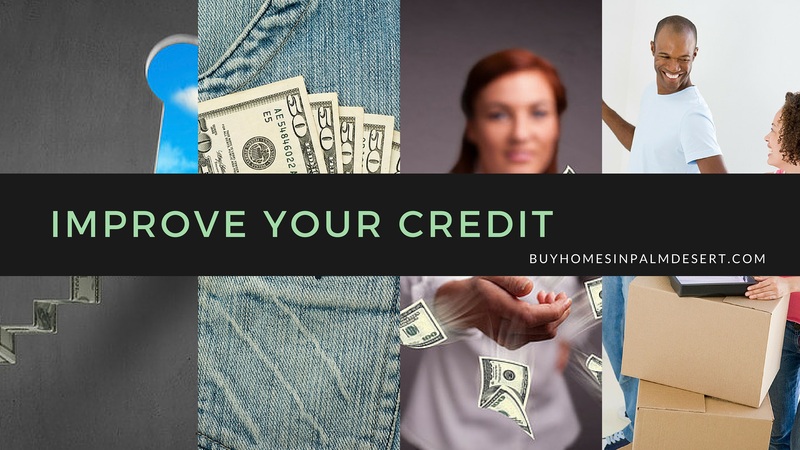 If you want to buy a home within the next year not only should you pay off as many credit cards and loans as possible that you will want to keep your credit owned within the limits. The proper ratio is not having your unsecured credit outstanding about 50% of your annual income. Work over the next year to get that number down as low as possible. Make sure you are not spending 50% or more of your income towards credit cards or loans. Also, make sure that all of your credit cards and loans are paid on time. Maintain a healthy credit mix of home loans, business or personal loans, student and car loans. Of course you don’t want to maxed yourself out but a healthy mix of credit shows that you have a good responsibility across a variety of loan options. Pay off your high interest loans first. Once you’ve pay off a high interest loan take that same payment and roll it into the next loan. You’ll have them paid off in no time. You’ll also want to close any unwanted savings accounts. This is something that a lot of people don’t think about. They tend to abandon their savings accounts without actually closing them. If they have less than their minimum average balance it can affect your credit score. Get a copy of your credit history during this time so that you are well aware of any accounts that you have outstanding. If you are trying to get your credit history under control in less than six months, make sure you were paying on time and over the minimum amount each month. If you have a low limit credit card you can use it as long as you pay it off immediately the next month. Doing this more and more over the course of the next 3 to 6 months will improve your credit score. If you have more questions about your credit history, improving your credit score or rating and applying for a home loan contact our office today. We’d be happy to answer any questions you have an offer tips and suggestions to be a successful home buyer.